Sorry folks. I've been swamped at work again. Crime has been moving on up, and the reaction has been much more work for me. I've a project in the works that I'm sure you'll all find helpful once I get a dang chance to finish it. Anyway, I had to squeeze a few minutes out to post this. You have to click on this link. It is simply unbelievable. Muslims Allowed To Attack For Insults To Mohammad. It is getting more difficult by the day to tell who the good guys and bad guys are. Everyone is starting to look like a target. I love Udo Kier, I think he's an under rated and under utilized actor. A quote attributed to Sun Tzu, a Chinese General, has wandered around in my mind for a time now. Sun Tzu's Art Of War should be at least read, if not studied, by anyone contemplating any type of conflict. It doesn't matter if that conflict is business, office politics, state politics, or even simple gang warfare. Western Civilization has had many iterations. Each one building on the previous to the desired end of individual liberty, equality for all, and a just system of administration. It would seem that we, the people of these united States of America, have come the closest to achieving this goal. But we seemingly have failed. Not just us and our heirs, but the enslaved and oppressed around the world who looked to us for guidance, and charity when needed. People who looked to us to be their champion in a battle they were too enfeebled to fight on their own. We carried the light that drove back the darkness. And here we are, that light seemingly having grown dim. A new dark age looms with the forces of oppression massing in the gathering night. A kingdom built on lies and fed by fear rises in the gloom. Our so called leaders kill our fellow citizens, or tell fairy tales, to cement their positions and wrest away the power that you held and to lock it away for their own use. It began with the Maine, then the Lusitania, Pearl Harbor, and on into modern day America with Ruby Ridge, Waco, and OKC. And now they won't even try and scare you into giving up your rights. They just take them. And the media wants you to be more concerned with Brady and his wife than the NDAA 2012. And still the forces of evil work to cement their control to deny you your basic rights. No fly lists? How about "No Work Lists"? And apply their labels to those who oppose them all to generate fear and suspicion. To drive a wedge between people. To feed them more power. Like Conspiracy Theories or Liberty? TERRORIST! Love the US Constitution? TERRORIST! Store or grow your own food? TERRORIST! I'd like to think Sun Tzu is right, once a kingdom is destroyed, it can't come back. That the dead are never resurrected. Our kingdom is not destroyed. It is here, in our words, our thoughts, our deeds, and our very hearts. It is reborn each time we take a stand against injustice and raise our flag. It grows as we endeavor to learn more about what the Founding Fathers really meant. It flowers when we reject the notions and interpretations of those who wish to subjugate and control us. They've managed to take over the buildings that housed our cherished institutions and write laws that no one follows. They yell, scream, and threaten, issue edicts and make examples of certain people and Americans acquire more guns, more bullets, more food and unite to write more articles to teach others what they know. The lies that were the foundation of their kingdom have been laid bare, and we chip away each day further weakening its walls. We don't fear them, and our lack of fear deprives them of sustenance. Their kingdom is the one dying. I hope to live to bury it. If you've never made home made fireworks, this is the place for you. Everything is explained with formulas, tables, photos, definitions and "how to" articles. I love the tutorials on building shells. There's even a link to sources for supplies. Once you're familiar, you'll find that many materials can be sourced right in your home town. Like the Potassium Nitrate found at your local ACE Hardware. Read the ingredients on the packaging. There are stump removers using other chemicals. Or even made right in your own backyard. Like this tutorial on making your own hardwood charcoal. Charcoal is useful for water purification and medicinal uses too, so even if you don't want to make things that go BOOM, you may want to look at this. Now remember, with the Homeland Stasi Polezei poking around, the more you can do in cash and at home the better off you are. You can check out this over at Activist Post if you want to see how little you have to do to fall under scrutiny. Fireworks are not only beautiful, but scary as hell. Especially if you're a helicopter pilot or someone using night vision gear. Not that I'm advocating anyone use these wonderful toys for such a purpose. And I very much would like to thank Kymber of Framboise Manor for nominating me for the Liebster Award. Thank you, Kymber. It is much appreciated. Ping pong balls are made from celluloid. That celluloid is made by the nitration of cotton. I just heard someone's chair fall over. Yes, that's right kids. Ping pong balls are nitrocellulose. Now, before you get all excited, the celluloid used in the production of ping pong balls has been esterified. If I am correct, by treating with camphor. This turns the nitrocellulose trinitrate (gun cotton - which can explode on impact - not good for the sport of ping pong) to nitrocellulose dinitrate, a plastic. What this does is reduce the instability of the final product. Hence, ping pong balls are highly flammable, but do not exhibit the rapid combustion of guncotton. This is actually advantageous for our application. If the need ever arises for a water proof fuse, and you don't have any, its easy to make. Cut up several ping pong balls and place them in a jar that has a tight fitting lid. Add enough acetone to just submerge the pieces. Allow it to sit and dissolve the pieces of celluloid. You can swirl the mixture about to increase the rate the celluloid dissolves. What you want is a mixture that is about as thick as pancake syrup. You've just made nitrocellulose lacquer. This lacquer is a primary binder in many explosives. If the mixture is too thin, just add a few pieces of ping pong ball. If it is too thick, just add a few drops of acetone. If it dries out between uses, just add acetone until it dissolves again. Now immerse a length of cotton string in the mixture. Wear gloves and press the mixture through the threads of the string. Wipe off the excess back into the jar. Lay the string to dry. If you hang it up, the mixture may run to the end of the string. Once dry, cut off a length and light it. Drop it into a bucket of water and you'll see that it continues to burn. As I mentioned, this lacquer is a primary binder in many explosives. Smokeless powder contains, what? Ah, now I see your thinking cap is on and you're thinking "improvised shaped charges". 140 Grams of Nitrocellulose Detonated. Another False Flag on The Horizon? The economies of the world are in ruin. The people who want to play make believe and print, print, print are not in denial. They're delusional. Delusional people are dangerous. One can not just print money based on debt and call it wealth. If that were the case, "I can't be broke! I still have some checks left!" would be a perfectly acceptable statement and not a source of humor. And that is the crux of the matter. The money changers still believe that they have checks left and they want you to believe they have the cash to cover them. The UK National Debt Clock reports that the UK owes over £900 BILLION. I think the math is obvious. The Euro is on thin ice with what is happening in Portugal, Ireland, Italy, Greece and Spain. China has an estimated 3.2 Trillion is foreign currency reserves. They're throwing in with Germany in an effort to stabilize, not just the economies, but the governments of Europe. Make no mistake, this is not just about economic security, but also political security. Once the power brokers lose grip on the populace, it is all over. The tottering governments can not handle mass movements of populations. There are already severe strains across Western Europe as immigrants from less wealthy nations compete for jobs and government handouts with native citizens. If you recall the breakup of Yugoslavia, an estimated 3.2 million people fled to neighboring nations and created enormous social and economic burdens for their hosts. Germany, twenty years later, is still working today to integrate, and repatriate, those who fled there. Even the more financially sound European governments would not be able handle the influx of refugees from collapsed neighbors. That loss of control over restive populations is nearing. 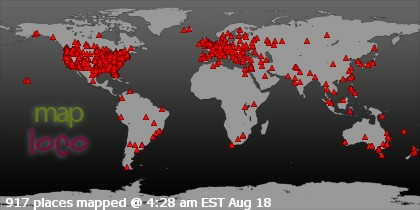 The news blackout on Italy's own "Pitchfork Movement" highlights this. 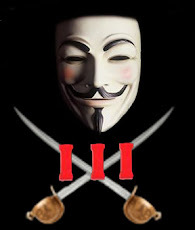 While for now, the Pitchfork Movement is peaceful one never knows what will happen as other groups try and infiltrate and usurp the efforts of the people. Greece has already suffered terrible rioting and as the weather warms into summer, they may once again begin as Greece is forced to impose even harsher austerity measures. Media blackout as protests hit Sicily. Sicily Pitchfork Movement In Revolt - Western Media Blackout Article lists the demands of the "Forconi" as the members of Movimento Dei Forconi are called. The last thing European governments want are sympathizers and copy cat movements springing up. China's economy is slowing and they're facing a housing bubble that promises to be like 1990's Japan. If you live here in the United States, you KNOW the lies we're being asked to believe. And then there's the deliberate omissions from the news. $707,568,901,000,000 in derivatives are outstanding here in the US. In a nutshell, a derivative is a form of credit between parties. Call them Peter, Paul and Mary just to make it simple. It's money that is floated so that the parties can essentially gamble with it. They make educated guesses as to which way markets will trend, hoping to make money on both up and down movements. With their winnings from their bets, Peter pays Paul, who then pays Mary and on down the line because each has borrowed, or been given credit from the previous. If Peter can't pay Paul, who then can't pay Mary, then the whole thing collapses. Peter, Paul and Mary are large institutional investors, banks, and businesses. Believe it or not, these fools even have derivatives based on the weather. How about $1.4 QUADRILLION? That's about 44 Million years if you counted a dollar per second. Where the hell is all that money going to come from? The guys working flipping burgers sure don't have it. And on and on goes the drum beat on attacking Iran. Does anyone remember that Iran declared war on the United States back in 1979? News flash people. It never ended. It has gone back and forth with the US sponsoring Iraq's war against Iran and Iran waging a covert war through terrorism and Israel jumping in to throw a punch or two just to get the rest of the Muslim world heated up. Only 16% of Germans would support military action. Those are really low numbers. Watch for something to happen that will conveniently have Iran's fingerprints all over it. It is one of my favorite Persian dishes. January 21,2012 John B. Wells, Coast To Coast AM Interviews The Director And Producer of the Film, "A Noble Lie". The look on their face when you get loose and crush their throat? Priceless. Reverse the belt so that the side that will be facing your body when being worn faces you. Cut a small strip of tape to cover the key. Affix the key to the belt. Using four more small pieces of tape, tape as shown to give the most flexibility to the belt and reduce the chance that the key will become dislodged. Other small tools, such as an Xacto blade can be attached similarly. This will be handy to deal with nylon cuffs. If you do this, tape the blade vertically with the tip pointed down towards your buttocks. When you reach inside and grab the tape, it will form a small handle and allow you to grip it better. You also won't stab yourself pushing your finger down between your belt and pants. 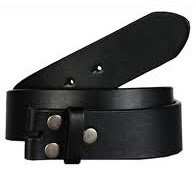 Another belt to use is one made of bonded leather. Typically, the inside of the belt is split hide and has a vinyl surface stamped to look like leather. You can separate the two layers and make a small pocket. Some full leather belts are made of two layers of leather sewn together. Simply cut the top threads to make a pocket. Make sure you seal off both sides of the pocket or your tools may migrate and be impossible to retrieve. It is a very serious concern of mine that some of us are going to get grabbed off the street with the passage of the 2012 NDAA and The Enemy Expatriation Act. I think it is important that you always have some means with you to assist in escape and evasion. I normally use black tape, but in the images I used silver so it would show up. Look for gaffers tape if you are able to. 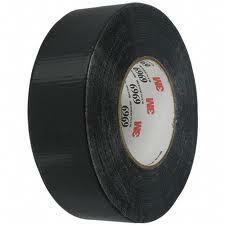 Duct tape doesn't always deal with water well, while gaffers tape is water proof. Important if you expect perspiration or live in a humid environment. There are formulations that withstand high heat. Read the packaging to determine if it meets your particular regional requirements. Gaffers tape can be found online, professional music stores, at places that sell theatrical supplies and even at Staples. Expect to pay more for it than duct tape. Handcuff keys can be purchased online and at gun shows. They're usually around a buck a piece. Ladies, wear a charm bracelet? Maybe you should add another "charm". The comments from readers at the bottom of the page are priceless. Click through the link embedded in the story and read the comments there for additional humor.